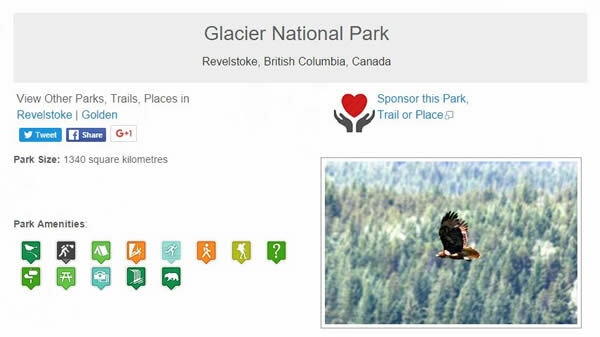 Sponsor Parks, Trails, Beaches, Historic Sites, Lakes, Rivers & Places. 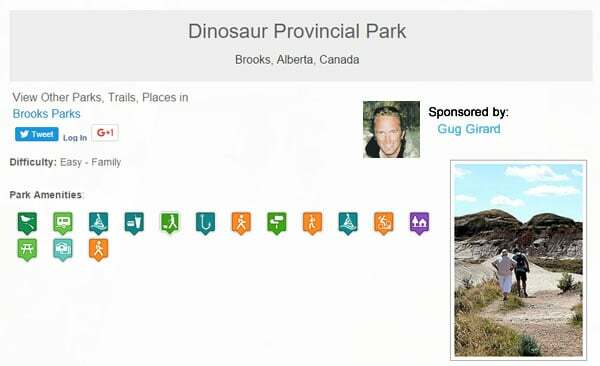 So you really love this one park, trail, lake, etc in Canada. It is your "go to" place. It is home to some of your best memories. It is a place for solitude. It is where you get your adrenaline on. Well, now you can sponsor it and show your appreciation for all the joy it has brought you. Can you imagine what your friends & family will say when they see you as the sponsor of your favourite park, trail, beach, lake, river, historic site! Look for this logo on any page on our website and you can pledge your support for that park, trail, etc. HOW TO SPONSOR: Go to our website. Join our Social Travel Community for free so you can interact and post. Contact us (link below) with the park, trail, etc. you want to sponsor and we will send you a confirmation email and then post your name on the park as the sponsor for 1 full year! 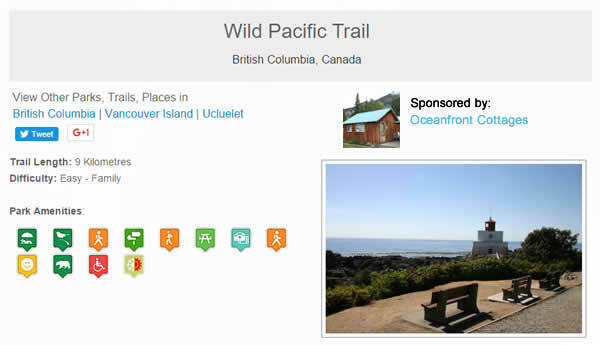 For only $25 a year you can be the "Biggest Fan" of your favourite park, trail, historic site, beach, lake, river, etc on Canada's largest and first interactive social travel website. It is that easy. Sponsor 3 for the price of 2 and you really have some bragging rights on a website viewed by millions. Join today and support nature tourism, the outdoors, the preservation of wildlife, the environment and, activity tourism. Start playing an active & bigger role in our national movement to protect and promote the many benefits of our favourite outdoor activity destinations. 2. Contact us with the park, trail, lake, etc. you want to sponsor. Tell us why so we can post it on our website's Social Travel Interactive Wall and on social media. Include your email. Click on this link.